Our vision is to see every baby, mother, and family thrive in a healthy community. We work to achieve this vision through an equity focused approach supporting the first 1000 days for birthing families. 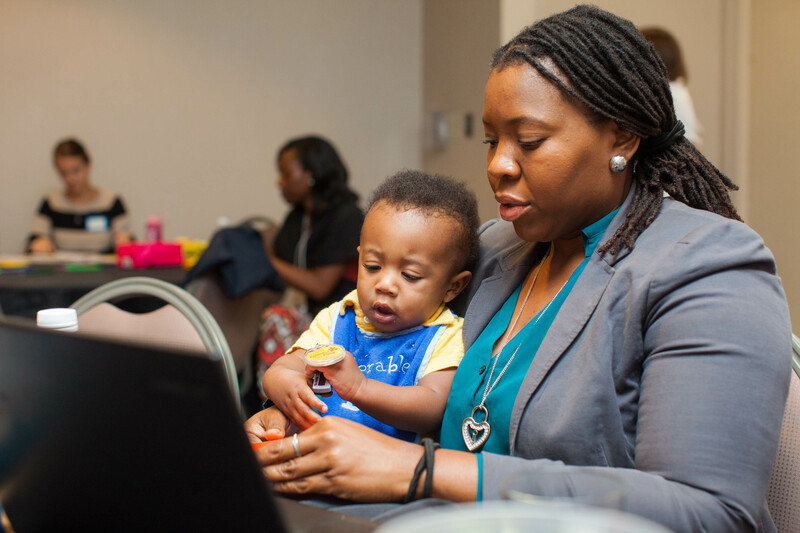 We facilitate shared learning, organizing, and advocacy among partners throughout the country, to improve support for families and move towards birth equity. In partnership with nonprofit agencies, health systems, and community groups, we co-design programs and initiatives that empower women to make informed decisions around pregnancy, birth, breastfeeding and early parenting. We work with community members to develop these programs and initiatives, because they are the best experts on their families and neighborhoods. We train community health workers, or lay health promoters, who make a personal commitment to improving the health of their own community. We amplify community voices to improve practice and policy in maternal and child health. We make space for community members to participate in national conversations on pregnancy, birth and breastfeeding, and we work to bridge the gap between decision-makers and neighborhood leaders. Each step of the way, we monitor progress and build the evidence base with data and stories to guide future policy and practice. Since 1986, across more than 50 communities in 20 states, our efforts have resulted in healthier babies born with fewer C-sections, increased breastfeeding rates, and mothers and families receiving expanded support in the crucial first months of a child’s life. Preventable and unjust inequities in infant mortality, prenatal care, maternal and child development, and other birth outcomes based on privilege and race are produced by range of systematic oppressions through unjust policies. HC One understands the necessity of cultural competency and addresses these unjust policies by partnering with various stakeholders of maternal health in creation of community-led interventions and programs. We here at BMBFA would like to take this opportunity to thank you for a truly fabulous, informative, perception changing three days. You have given us all of these amazing training techniques and tips and we will use them in the most effective way. Thank you again, from all of the BMBFA participants, for your willingness to share such wonderful energy and expertise on both a professional and personal level. No one person has truth, everyone has truth. This is how true collaboration happens. That everyone has some truth is important to the work. Training? Consultation? Facilitation? Our work is based on the principles of popular education and experiential learning. HealthConnect One is a proud member of the United States Breastfeeding Committee, SisterSong, and the Chicago Region Breastfeeding Task Force. HealthConnect One is accredited by the Better Business Bureau.